House Homeland Security Committee Chairman Mike McCaul’s (R-TX) American Security Against Foreign Enemies (SAFE) Act – which he claims “puts in place a robust vetting process for refugees” – is under heavy scrutiny as it heads for a vote on the House floor Thursday. Members of both the Republican Party and Democratic Party have criticized it—President Obama has even threatened a veto of it if it ever reaches his desk, while several Republicans believe it’s simply a show vote that won’t fix the problem. Now it’s official, as of late Wednesday evening: House GOP leadership is blocking any amendments from being offered to the bill as the legislation is rushed to the House floor. “The Committee granted, by record vote of 7-3, a closed rule for H.R. 4038,” the House Rules Committee, which is chaired by Rep. Pete Sessions (R-TX) but influenced by the Speaker’s office, said in a “Notice of Action” to members’ offices at 8 p.m. on Wednesday evening. While it’s technically the House Rules Committee taking this action, the Speaker of the House has substantial influence over the outcome. 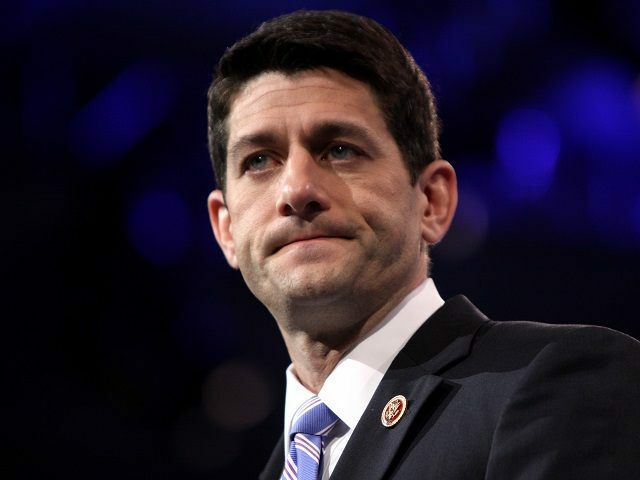 Despite all of the talk that the process in the House would open up under Ryan in the wake of now former House Speaker John Boehner—who resigned from Congress after being driven out of the Speakership by members of his own party furious with his lack of openness in legislative process—Ryan has, on his first major move as Speaker, shut down the process entirely. It’s unclear if it will ever get better. McCaul’s bill contains several holes and doesn’t fix the problem—it simply requires more paperwork from the administration, and still lets refugees into the U.S. from Syria, according to sources close to Breitbart News. However, Breitbart News has learned that many conservatives are skeptical, saying McCaul’s bill doesn’t stop the flow of refugees from Syria into the United States, something the American public supports. Rep. Brian Babin (R-TX) was one of several members of Congress that moved to offer amendments – which were all blocked by House Rules Chairman Pete Sessions (R-TX) – that would have placed a six-month moratorium on allowing refugees into the United States. Several Republican lawmakers backed Babin’s amendment including: Rep. Dave Brat (R-VA), Rep. Mo Brooks (R-AL), Rep. Mark Meadows (R-NC), Rep. Jeff Duncan (R-SC), Rep. Lou Barletta (R-PA), Rep. Loudermilk (R-GA), Rep. Doug LaMalfa (R-CA), Rep. Jody Hice (R-GA), Rep. Ron DeSantis (R-FL), Rep. Mark Sanford (R-SC), Rep. Louie Gohmert (R-TX), Rep. John Culberson (R-TX), Rep. Garret Graves (R-LA) and Rep. Mark Walker (R-NC). Breitbart News predicted more than a month ago that if elected Speaker of the House, Rep. Paul Ryan (R-WI) would block any conservative amendments to curb immigration. If Heilemann and Beck’s analyses [about Ryan’s history for supporting open borders immigration policies] are correct… it would also mean that conservative lawmakers will be blocked from any attempt to advance legislative campaigns to curb immigration or to coordinate any public messaging designed to give voice to the concerns of working class Americans whose schoolhouses, jobsites and emergency rooms have been transformed by massive immigration. For instance, Congressman Brian Babin recently offered legislation to halt all refugee resettlement – a bill sponsored by Rules Chairman Pete Sessions and Homeland Chairman Michael McCaul. Such a bill might never be brought to the floor under a Ryan Speakership. Nor would a plethora of enforcement ideas developed by anti-amnesty lawmakers including Mo Brooks, Steve King, Dave Brat, Louie Gohmert, Duncan Hunter, John Fleming, and Marsha Blackburn. Yet many are pushing Ryan to grab the gavel. Lofgren said Speaker of the House Paul Ryan (R-WI) promised to change the process in the House, “yet in one of the first major pieces of legislation…there’s been no mark up” on the legislation. She called McCaul’s bill a “knee jerk reaction,” to the terrorist attack in Paris, adding that it “focuses only on Iraq and Syria” and not on Nigeria regarding Boko Haram or other countries with ties to terrorism. After several members from his own party offered amendments to McCaul’s bill, Sessions suggested that these amendments can be considered at a later date through the appropriations process. If the bill passes the House vote on Thursday, it then moves to the Senate. The legislation’s future remains entirely uncertain, as it’s unknown at this time whether or not the Senate will take it up for a vote. The legislation – even if passed by Congress – could be vetoed by President Obama, as he’s threatened to do. If there’s going to be a real fight from Congress against Obama’s refugee resettlement plan, that would come on the spending bill that must be passed to fund the government in early December.